No one likes to be watched, especially online. Running a VPN (virtual private network) is an easy way to maintain online security, privacy, and access geo-restricted content. 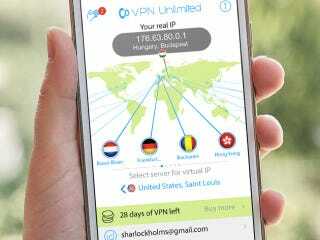 Right now, Kotaku readers can get a lifetime of VPN Unlimited for 70% off - just $39.